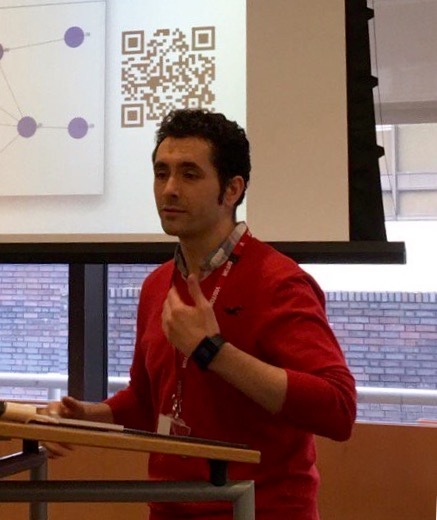 We’re looking forward to welcoming Luc Desrosiers on Wednesday 24th April where he’ll present his Blockchain for Java Developers talk to the LJC. He’ll take us through the basic concepts behind blockchain, explore the type of use cases where blockchain can make a difference and introduce us to a real-life example of a Java application leveraging Hyperledger Fabric. 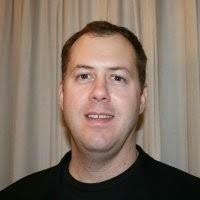 Luc is an IBM Certified IT Architect with over 20 years of experience. He recently moved with his family from Canada to the UK to join one great lab: IBM Hursley. This is where he had the opportunity to join the IBM Blockchain team. 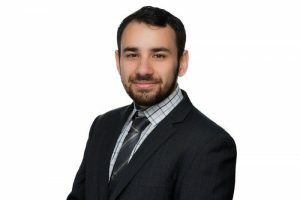 He is now working with clients across multiple industries to help them explore and understand how Blockchain technologies can enable transformative use cases and solutions. We were lucky enough to catch up with him ahead of his talk to find out a bit more about what to expect. 1. Who do you think should come along and why? This talk is for anyone, from business analyst, architect to developer. It is intended for the people wondering what is the hype around blockchain and how can this be applied to the enterprise. I am hoping that we can help clarify the idea, concepts and application of blockchain technology. The objective is NOT to make you the best bitcoin miner or an expert with Initial Coin Offering. Instead, this talk is focussed on the application of blockchain in the context of the enterprise and answers the famous what? why? and how? What are the technical underpinning that makes it so interesting and revolutionary? In the blockchain sphere, there is a lot of technical mumbo jumbo like Smart Contract, Merkle tree, crypto accumulator, hash chain, utxo etc…what do they mean, how are they applied to the business domain? Why use blockchain for the enterprise? Like any new technology, there are good and bad use cases. Blockchain is not a silver bullet but it can certainly help instil trust in a business network. So what are the good use cases? What are the main considerations that go into the creation of a blockchain network? What are the privacy and confidentiality mechanism that can be used to convince organizations that may not fully trust each other to join a network? How can you get started learning more? Using a Java based application and Smart Contract running on Hyperledger Fabric, the session will take you through the main elements of creating a de-centralized application. It will provide you with a foundation that you can use to quickly get started in learning more about the subject. Like any new technology, there is always a lot of hype around it and it can be hard at times to see if this is truly revolutionary or just another fad that will pass. As a technologist, understanding how a technology can concretely be applied to the business just adds more tools to our toolbox. By removing the magic and hype around the technology, people can focus on the real important aspect: how to deliver solutions that are innovative and that matters. Curiosity and passion will go a long way. We live an era where the world is constantly being re-invented. Each technology not only brings a new set of tools and capability but also a different paradigm; a different view of our world. By capturing and understanding these solutions, we become more effective at our job. So based on that, my single most important advice I could give is: Never stop learning and keep an open mind. It’s been said before, but it is true. If you’d like to hear more, come along to the meetup on Wednesday 24th April at Kings College London. You can find all the information and sign up here. We’re getting ready for our ‘Embrace the Anarchy: Apache Kafka’s Role in Modern Data Architectures’ meetup on Tuesday 12th March. 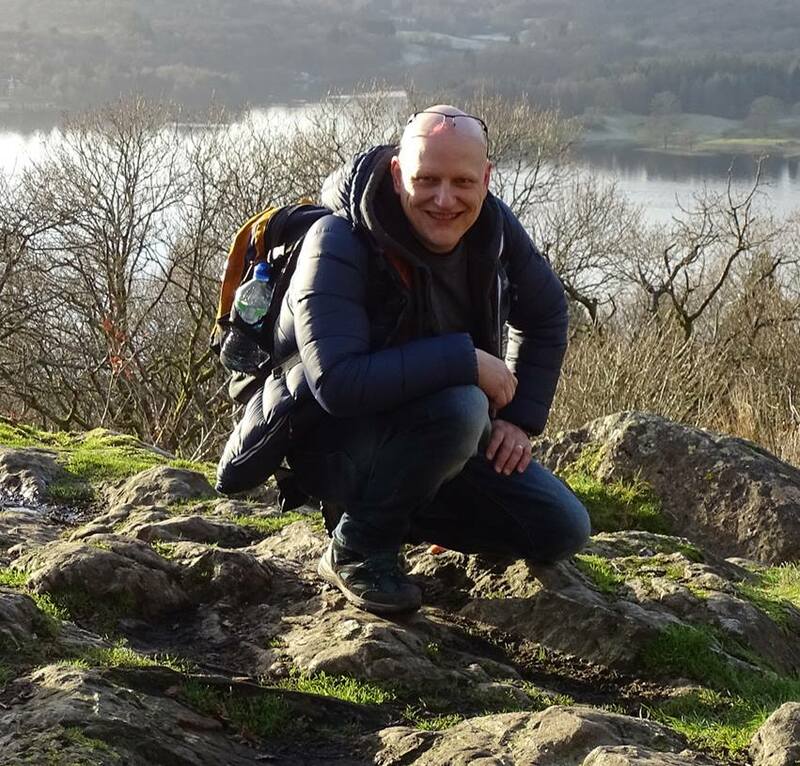 Ahead of the event we caught up with our speaker, Robin Moffatt, to find out what we can expect from his talk and hear his advice for junior developers. 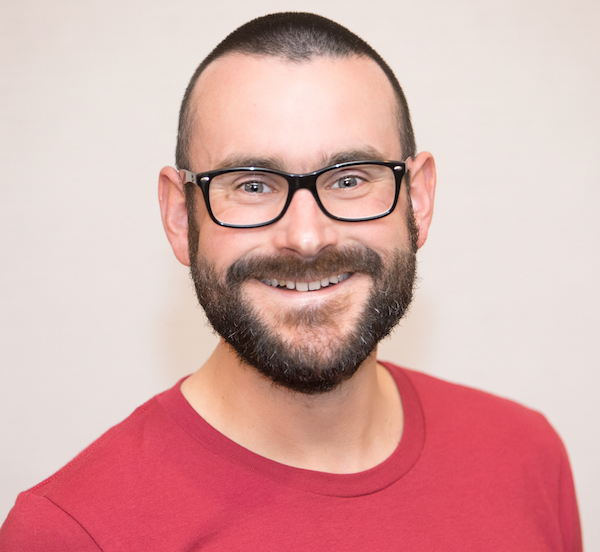 Robin is a Developer Advocate at Confluent, the company founded by the creators of Apache Kafka, as well as an Oracle Groundbreaker Ambassador and ACE Director (Alumnus). He blogs at http://cnfl.io/rmoff and http://rmoff.net/ (and previously http://ritt.md/rmoff) and can be found tweeting grumpy geek thoughts as @rmoff. Anyone interested in architecture of systems and understanding why events and streaming are so important to a large proportion of systems being built. What is an event streaming platform and why do you need one? Why is streaming not just about real-time? How can you do stream processing using SQL-like language? It explains how a great many problems that people will encounter in their systems today can be avoided by building a more loosely coupled, flexible, and scalable architecture. It holds true for both application developers and data engineers. Buy a rubber duck! Learn how to express a problem clearly in writing; in doing so you’ll find that a lot of the time you’ll work out the issue yourself, and if you haven’t, you’ve got a ready-made question to pass to others for help in a form in which they can easily assist. If this has left you wanting more, Robin’s talk is taking place on Tuesday 12th March from 6.30pm at Skills Matter. You can find the full details and register here. We caught up with our upcoming speaker, John DesJardins, CTO and VP Solution Architecture at Hazelcast North America, ahead of our meetup on Thursday 7th March. John’s expertise in large scale computing spans Microservices, Big Data, Internet of Things, Machine Learning and Cloud. He is an active blogger and speaker. 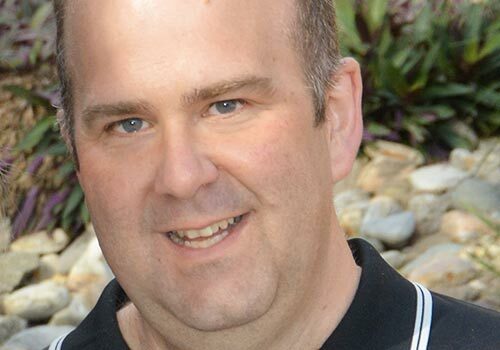 John brings over 25 years of experience in architecting and implementing global scale computing solutions with top Global 2000 companies while at Hazelcast, Cloudera, Software AG and webMethods. He holds a BS in Economics from George Mason University, where he first built predictive models, long before that was considered cool. 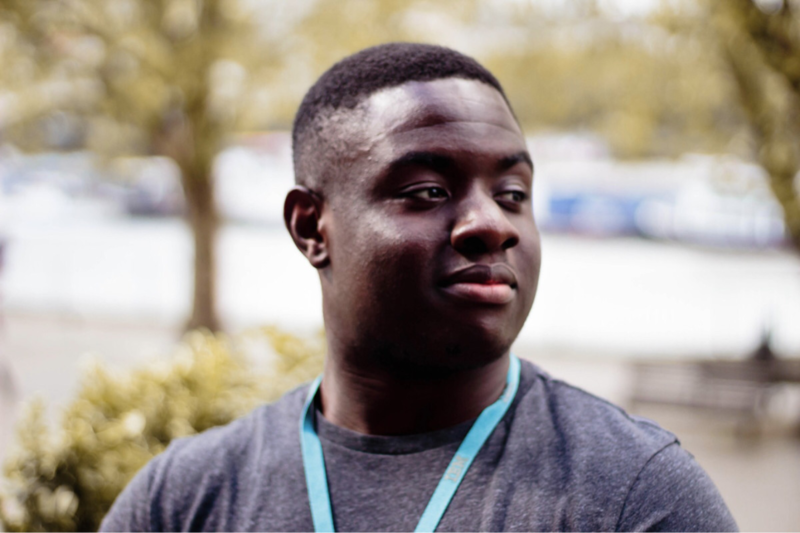 He’ll be joining us at David Game College, Aldgate to give his presentation on how to make your Data Science actionable: Real-Time Machine Learning inference with Stream Processing. We interviewed him ahead of the talk to find out what we can expect from the event and hear his advice for junior developers. Java developers who would like to learn about basic concepts in stream processing and machine learning and how these can be integrated into Java Applications, as well as what are common use-cases for real-time machine learning. What is a workflow and architecture for moving predictive models from training by data science teams into real-time execution within Java applications? What are some approaches to run models into a distributed architecture and how do these support patterns like micro services, Cloud-Native, Fog & Edge? How do I ensure reliable execution as well as achieve scalability and availability when serving machine learning models in real-time? Smart Applications are becoming ever more embedded into our daily lives across devices. Therefore, developers need to understand how they can work with data science teams to integrate machine learning capabilities into their applications. Learn more about machine learning and data science, as well as about newer data storage including NoSQL and data grids, and distributed compute technologies such as Spark and Jet. If this sounds like your kind of event then check our event page for all the information and to reserve your spot. There’s just one week to go until our Shaping the Future of Java, Faster meetup on Tuesday 5th March. At the session, Oracle’s Donald Smith will discuss how the Java SE Platform and the JDK have moved to a rapid, six-month release cadence, with the Java 11 release in September 2018 and the next release later in March 2019. He’ll review the motivations for this change and discuss how this impacts users. Before the event we chatted to Donald to find out a bit more about what to expect from his talk. Anyone interested in shaping the future of Java and discussing how Java is set for its third decade of growth and evolution. Exactly how the Java SE release cadence started in 2017 was conceived, how it’s working three releases later, and what it means practically going forward. Why Java has never been more free and open source. Highlights of the exciting innovations in flight for future releases. Java has enjoyed over twenty years as one of the top software development platforms in the world. But to keep ahead, Java has had to evolve over time to changing application developer needs. This presentation will review some of the changes and challenges facing the Java ecosystem over the past two years and take a look at the future. One of the best pieces of career advice I was ever given early on was to be mindful of the entire stack, not just your own layer of it. I’ve since expanded that wisdom to include the fact we should be mindful not only of the software stacks we’re working on, but across the industry as a whole. Over 12 million developers use Java — and it can be easy to get silo’d into thinking all 12 million are programming exactly like me. The incredible diversity of the Java ecosystem is something that’s underappreciated yet very high value. I always encourage developers of all kinds to try to get out and see other parts of the ecosystem they may not even know exist! If you’d like to join Donald and the LJC to discuss the future of Java you can reserve your space on our event page. 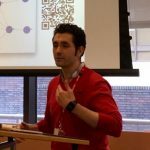 Ahead of our upcoming meetup “Clustering and Distributed Data: The Winning Combination?” on Thursday 21st February , we caught up with our speaker, Patrick Altaie, to find out what we can expect from his talk. Patrick is a consultant for Icon Solutions, a financial services consultancy, working with some of the world’s leading financial services organisations. Recently he’s been working on IPF – Icon’s flagship real-time payments processing platform. IPF is built using reactive concepts and leading open-source frameworks, including Akka. You can follow him on Twitter at @paltaie. 1. What is the actor model and the Akka’s implementation? 2. What are some good reactive design principles to follow? 3. How can we combine two Akka features – clustering and distributed data – to provide a resilient and fault-tolerant system? I hope that there will be something for everybody – even for those who aren’t Java devs – to take away from the talk. Resiliency and availability are big requirements of any modern software system which we build today, and there are many ways to solve these problems. This talk will introduce the concept of the actor system, the Akka framework, Akka clustering and distributed data, and how a combination of these things can help us create a reactive system which is highly resilient, available and responsive. So whether you’ve heard of any, all, one or none of these things, there’s something for you! Never stop learning! Just because you’ve been able to land a position doesn’t mean that learning time is over! We should all look to improve our skills – amateurs and seasoned pros alike – so that we’re up-to-date on the latest and greatest. Our industry moves at a faster pace than most others, and so it’s important to try to keep on top of the relevant news and trends. Secondly, try to get some experience by contributing to open-source projects. You may not be able to contribute significantly at first, but it’s quite useful to familiarise yourself with such a community. You get to see what “good” Looks like, and might be able to learn a thing or two! My first open source contribution was a documentation update to Apache Ant, and it was equally welcome and well-received as any other “significant” changeset! If you’d like to come along, we’ll be at Skills Matter, EC2M 7EB on Thursday 21st February at 18:30. You can find the full details and RSVP here. We’re looking forward to welcoming Ray Tsang & Marcus Biel to our meetup on Monday 8th October. It promises to be a jam-packed evening with two talks: ‘Troubleshooting & Debugging Microservices in Kubernetes’ & ‘A Craftsman’s Guide To Designing A Clean Architecture’. 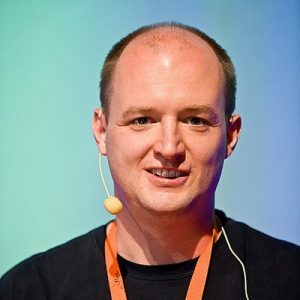 Marcus Biel will be presenting the second talk of the night, ‘A Craftsman’s Guide To Designing A Clean Architecture’ which will show you an alternative approach to Microservices being the de facto standard for a system architecture. He’ll discuss how you can tame complexity with the help of a clean, monolithic architecture that is modular to the core. 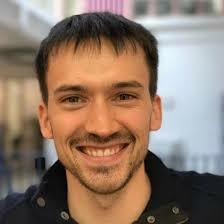 Marcus is a software craftsman and the author of a series of Java video tutorials focused on creating the cleanest and most well-structured code possible. Since 2001, Marcus has worked on many different Java related projects, mostly in the finance and telecommunications industries. He considers himself a pragmatic perfectionist and looks to share his know-how with aspiring developers. 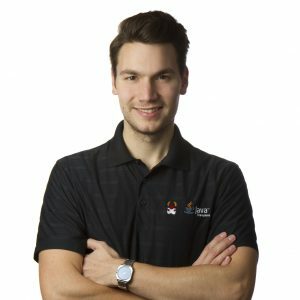 He’s currently working on https://cleancodeacademy.com/, an online platform dedicated to teaching aspiring Java Craftsmen. This talk is designed for developers who are passionate about coding and are looking for ways to move away from a big ball of mud to a clean, modular architecture, without having to follow the current hype of microservices. What is a clean architecture? What are the prerequisites for designing a clean architecture? What are the building blocks of a clean architecture? Despite all the hype around Microservices, I will show you how we can do without them! Microservices have strong, modular boundaries. But even in a monolith, we can use the advantages of modularity without the additional complexity that a distributed architecture brings with it. Any advice for junior programmers entering the industry? I want to clear up the misconception that if you want to make a career as a developer, you have to become a manager. If you develop code with passion, then you should stick with it! It doesn’t stop with “Senior Developer” or “Architect” – it just starts there! As a developer, you can start your own company and develop your own product or be a valued (and well paid 😉 ) consultant for other companies! You can travel the world as an evangelist and speak at conferences, write books – to name just a few of the possibilities. Stick with it, be a developer for life. There are many good managers but good developers are rare. If you’d like to hear more, come along to the meetup on Monday 8th October, 6pm-9pm at David Game College, Aldgate. You can find all the details and RSVP here. We’re looking forward to our ‘Evening Of Kubernetes Talks’ event being held on Tuesday 25th September. We’ll be discussing ‘Cloud Ready JVM with Kubernetes’, ‘Deploying and Scaling Spring Boot Microservices to Kubernete’s and ‘From Kubelet to Istio: Kubernetes Network Security Demystified’ with our speakers Cesar Tron-Lozai, Daniele Polencic and Andrew Martin. Being a Java developer for many years, Cesar Tron-Lozai was very excited when Java 8 came out, and the functional elements it brought to Java. His interest didn’t stop there and he went to play with Scala, Haskell, and eventually study Category Theory (the mother of all theory that is behind functional programming). In his job as Head of Engineering of a small startup, he gets involved with all the aspects of software development: Infrastructure, DevOps, design, backend and frontend. In his spare time, he co-organises Devoxx4kids in the UK. We were lucky enough to catch up with Cesar ahead of the meetup to find out a bit more about his upcoming talk. This talk is designed for JVM developers who are deploying their applications with Docker and are looking to use (or already using) Kubernetes. Novices to Docker/Kubernetes will get a clear introduction to the core concepts and I think experienced users should be able to take away a few nifty tricks too! If you have been meaning to look into Kubernetes but never got around doing it, this talk should get you started! a) What is Kubernetes and how does it relate to Docker and Java? b) What are the common mistakes to avoid when running Java on Docker? c) What is a good development workflow to quickly develop an application made of several microservices deployed in Kubernetes? Not related to this topic but I’d recommend getting on the functional wagon early. Our industry seems divided between functional lovers and haters. However I do believe functional languages are getting more and more popular, and for a reason: they allow to write “better” code. I also fear beginners are being put off by some people in the FP world. They paint a very complex picture and are hostile to newcomers, especially those without a Maths background. I’m trying to stop this unproductive trend and aim to explain core concepts in the simplest possible way. If you are curious check out my talk “What the ƒ is a Monad?”. If you’d like to join us on Tuesday 25th September you can find more information and register on our event page. We’re thrilled to welcome Sebastian Daschner to our meetup on Wednesday 8th August. As well as being the author of ‘Architecting Modern Java EE Applications’, Sebastian is an avid participator in the JCP, helping to form the future standards of Java EE, serving in the JAX-RS, JSON-P and Config Expert Groups and collaborating on various open source projects. For his contributions in the Java community and ecosystem, he was recognized as a Java Champion, Oracle Developer Champion and double 2016 JavaOne Rockstar. His first talk on ‘Cloud Native, Service-Meshed Java Enterprise With Istio’ will show how to implement service-meshed applications using Java EE 8 and MicroProfile and will develop a mesh of microservices, managed by Kubernetes and Istio. All of the time will be spent live-coding while explaining the concepts and solutions. The second talk will be ‘7 Principles of Productive Software Developers’ which will discuss how to accomplish the goal of being more effective and efficient as a Java developer. We caught up with Sebastian ahead of his UK JUG tour to find out more about the event and his advice for new developers. For the first talk, Cloud Native, Service-Meshed Java Enterprise With Istio, any enterprise developer who wants to know why we should be excited about service meshes, and in particular Istio. Istio has just reached version 1.0, i.e. developers now have no excuse to not care about it anymore. Besides that, any Java developers that like live-demos should attend. We’ll deploy Java Enterprise applications to container orchestration clusters and service meshes and will have some fun with them. – Why should enterprise Java developers care about services meshes and Istio? – How can we add required production concerns, such as observability or resiliency, to our enterprise applications with minimal effort? – How can we become better, more effective, and less stressed in our daily work? The first presentation, Cloud Native, Service-Meshed Java Enterprise With Istio, is especially important for enterprise Java developers who want to widen their horizon in what’s going to come next in the cloud native world. Most enterprises have adopted containers (e.g. Docker) already, and are on their way to embrace container orchestration (e.g. Kubernetes); Services meshes will be the next step. The second presentation, 7 Principles of Productive Software Developers, is actually not only important for Java developers, but software developers in general. We should strive for constantly improving our skills, critically question processes and ways of working, and maximizing our tool usage. Read, learn and then try out. Fail, and try again. As much as you can. Especially reading makes the difference: documentation, books, articles, blogs. In one of my newsletters, I’ve shared some of my personal book favourites. As a junior developer, some of them might be hard to wrap your head around at first. But don’t be discouraged, try to understand the motivations and concepts and keep going. Especially motivations, concepts and approaches are far more important than specific technologies. If you’d like to join us the event is happening on Wednesday 8th August 6pm-9pm at David Game College, EC3N 2ET and is kindly sponsored by RecWorks. You can find all the registration details here. 2. What do you think are the three most interesting questions that this workshop will answer? Which Linux distribution should I use for my micro-service? How can I get smaller image sizes? How can I get my Java containers to respect resource constraints? 3. Why do you think this workshop is important for people? Up until Java 9 & 10, JVM-based applications did not play nicely with containers. This workshop will explore the new support for containers in Java and will cover recommendations for running Java applications. 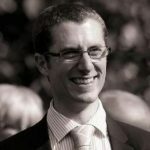 As a developer with coming up to 3 years of industry experience, with respect to Java I would say keeping up to date with the latest features and general buzz around the recent release cadence, and how the different releases affect development, support and choice of tools within an organisation. If this has tickled your fancy and you’d like to join us, please register here.